NEAL MORSE will be releasing his latest solo album, LIFE & TIMES, February 16 on Radiant Records via Metal Blade Records/SONY on all digital outlets, as well as CD and vinyl. Pre-orders are now available on Radiant Records’ website. The second video clip from LIFE & TIMES, “Livin’ Lightly,” premiered in Germany last week, which can now be seen below. 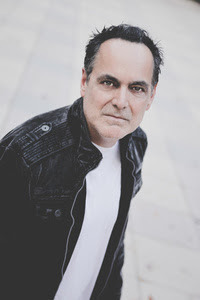 Widely regarded as one of the world’s leading progressive rock (“prog”) musicians, there is now no doubt that NEAL MORSE is a “big success,” but his desire to move people through his music burns brighter than ever. Now in his mid-fifties and his children grown up, there is a sense on LIFE & TIMES that MORSE is looking around and taking stock. “I’ve come through a lot of difficult times and I’m in a fairly content place now,” he says. “You can feel that on some of the songs.” Much of this ‘acoustic-orientated, singer/songwriter’ album was written while he was travelling around the world on “The Road Called Home” tour in 2017, with some of the songs being inspired by the places he visited, while others are from spending time with his family. For example, “Manchester” is a musical portrait of that notorious rarity—a sunny day in Manchester, England—when MORSE was sitting in a coffee shop watching the world go by. “Selfie in The Square” captures what he saw walking around Luxembourg City, hearing the cathedral bells and children playing, but realizing what a difference it makes to share these experiences. “Luxembourg was really nice, but I knew that if my wife was there, it would feel like a holiday, so I wrote a song about it to send to her,” he explains. The power of the song that MORSE eventually crafted has moved people in ways that he could never have imagined: “Because of the idea for the song, I was researching soldier suicides online and found an article about a young soldier named William Busbee. He came back from Afghanistan in 2012, and then committed suicide. The video director contacted Libby Busbee, his mother, who listened to the song and was so moved that she is contributing photos of William to put in a video we’ll be sharing very soon.” The song also had quite an impact when it was premiered at Morsefest 2017, where it was very much the talk of the festival. NEAL MORSE’s solo work has focused almost entirely on music with a strong message of redemption, beginning with 2003’s TESTIMONY—a two-disc musical account of his spiritual journey–and most recently with The Neal Morse Band’s PROG Magazine Award nominee, THE SIMILITUDE OF A DREAM, based on John Bunyan’s classic allegory, The Pilgrim’s Progress. In touring news, MORSE is hoping to move more people with these songs at some “absolutely solo” shows in cafes and small venues throughout the U.S. and Europe in 2018, starting February 20 in Boston, MA at Club Passim.